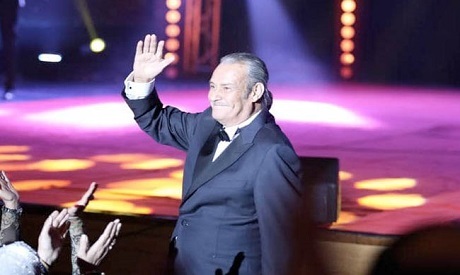 Egyptian veteran actor and 80’s and 90’s movie star Farouk Al-Fishawy revealed Wednesday evening, during the opening of the Alexandria Mediterranean Film Festival’s 34th edition, that he has cancer. Speaking to attendants at the opening ceremony in which he was honored for his lifetime leading performances, Al-Fishawy announced that he has been informed of this news by his doctor after several medical examinations and checkups. “I will defeat the disease with determination and will, and next year I will be here again at the very same festival,” Al-Feshawy said to his fans. Al-Fishawy, 66, was born in 1952 in Cairo. He starred in more than 61 movies since 1981, first with iconic actors Adel Imam and Soaad Hosny in the celebrated movie "Al-Mashbouh” (The Suspect) in 1981. The Alexandria Mediterranean Film Festival’s 34th edition opened Wednesday at the Bibliotheca Alexandrina. This edition bears the name of actress Nadia Lotfy, and honours several figures from Greece, Syria, and Egypt alongside its international line-up and screenings at the Sheraton Montazah. The festival comprises 85 films from 25 countries, including Greece, France, Albania, Slovenia, Croatia, Morocco, Palestine, and Switzerland.